Ted produced the finished book at our second celebratory lunch. The cover looked like it was supposed to. 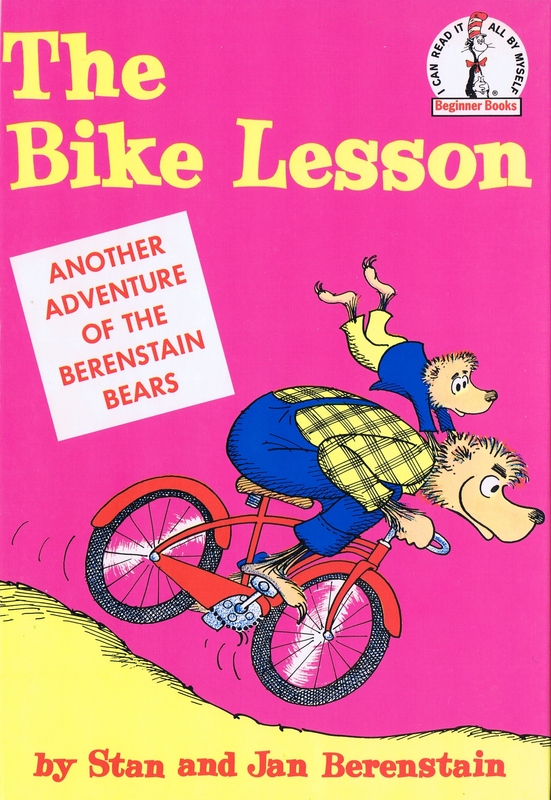 There was Papa riding downhill with Small Bear hanging on for dear life against a background of 90 percent magenta, with the book’s title in big yellow letters. But something new had been added. In a dropped-out white box, it said, “ANOTHER ADVENTURE OF THE BERENSTAIN BEARS.” We were puzzled. It was very nice. But we didn’t quite get it. We asked Ted what it meant. 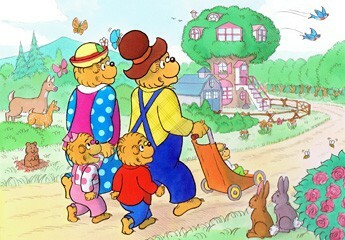 So Dr. Seuss not only named our bears, he renamed us. The Bike Lesson was published in 1964.